Bring the kids along to Nature & Wildlife Tours and Shankar's International Dolls Museum. There's lots more to do: take in nature's colorful creations at Humayun's Tomb, contemplate the long history of India Gate, enjoy breathtaking views from Qutub Minar, and contemplate in the serene atmosphere at Akshardham. 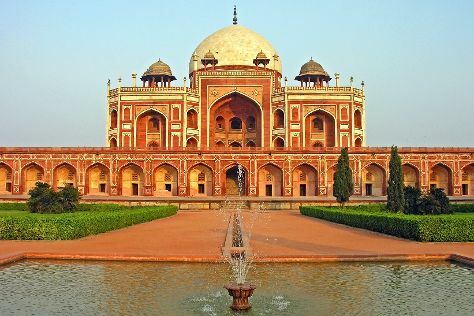 To find traveler tips, maps, and more tourist information, you can read our New Delhi trip planner . In December, plan for daily highs up to 27°C, and evening lows to 10°C. Finish your sightseeing early on the 25th (Tue) to allow enough time to travel back home.